I’ve been shooting NYC with my father and we both decided to shoot wide for a day. He was shooting his Olympus E-P3 and thesuperb 12mm f/2 and I mounted a 21mm Zeiss Biogon to the M9. As you probably know, my normal rig is the M9 and 35mm Summilux, but sometimes you need to change your perspective so I borrowed a friend’s 21mm Zeiss Biogon for this NYC trip. 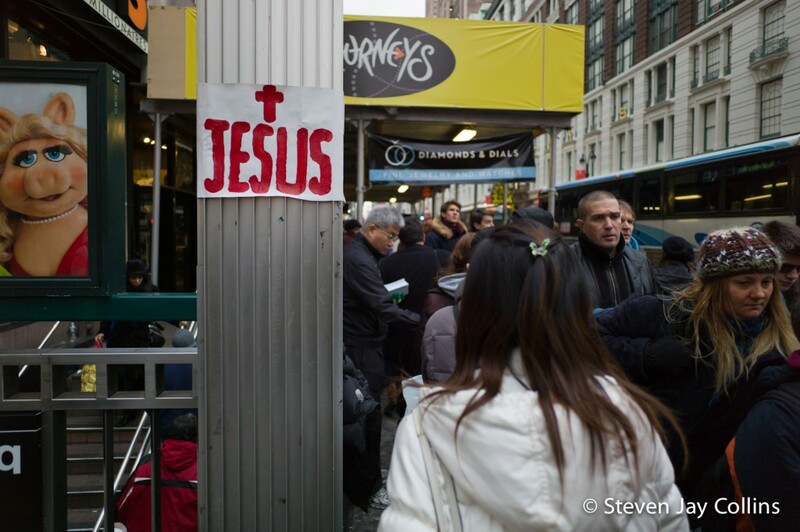 NYC with its crowded sidewalks, high-rise buildings and busy scenery is a good place to exercise the 21mm. Even though this isn’t truly a review of the Zeiss Biogon I will say that it’s a fantastic lens that delivers images with great color, contrast and sharpness. Mechanically, it’s solid with a smooth focus throw and esthetically it’s not bad either. I’ve never used any of Leica’s 21mm choices so I can’t really draw any conclusions between the Zeiss and the Leica. For a good look at what Leica can do with their sweet 21mm Summilux take a look at what my friend Dave Powell at Shoottokyo.com is doing with his 21mm Summilux. What’s the best part of shooting a 21mm? It’s great to exploit perspective with it, but I’m a big fan of zone focusing with it. Bump up your ISO to 400, set the aperture at f/5.6 and everything from about 5 feet to infinity will be in focus. It’s one of the fastest ways to shoot street. You may want a 21mm finder to get precise framing, but you could get away without the finder in a pinch. ← The Leica X1 is Back!